There are many types of bacterial infections that can affect your horse. If you notice symptoms of any of the following common types of bacterial infections, contact us, so we can examine your horse and provide appropriate treatment options. Anthrax is a bacterium that forms spores, which allows it to survive longer outside an animal’s body. The most common way for a horse to become infected with anthrax is by eating something contaminated with the spores. Infection can also occur by inhaling the spores or through a break in the skin. One of the early signs of infection in horses is colic. Horses may later develop a high fever, difficulty breathing and collection of fluid in the body (edema). Anthrax can kill horses rapidly. Treatment includes the use of antibiotics, as well as supportive care. Botulism is a condition caused by a toxin produced by a bacterium. The main symptom is weakness or paralysis. This can occur in both foals and adult horses, which is why it is also known as shaker foal syndrome. Botulism can cause death if the muscles that control breathing are affected. Horses can become infected by eating feed contaminated with the toxin, eating the bacterial spores themselves or having a wound become infected with the bacterium. Treatment includes the use of a drug to fight the toxin. The horse may also be given antibiotics. Grass sickness is a condition that occurs mainly in horses in Europe; although several cases have been found elsewhere. The cause is unknown; although some research suggests that the bacterium that causes botulism might be involved. The disease may be triggered by a change in the horse’s nutrition, which throws off the balance of bacteria in the gut. The main symptom is partial or complete paralysis of the digestive tract. This may show up as colic, difficulty swallowing, drooling, a swollen stomach or constipation. 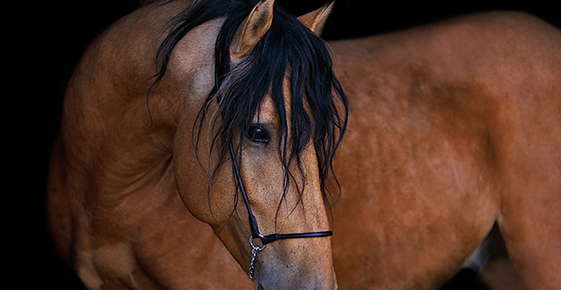 Horses may also develop sweating, muscle tremors or weight loss. Treatment involves nursing the horse and providing high energy and easily swallowed foods. Lymphangitis (also known as pigeon fever, false strangles or dry land distemper) is inflammation of the lymphatic vessels caused by a bacterial infection. These vessels carry fluid from the body’s tissues back to the bloodstream. Infection occurs through wounds in the skin, such as insect bites, injections or contact with contaminated grooming equipment or tack. Symptoms include small lumps or swelling, sores that heal slowly (often on the fetlock) and painful inflammation. Sores may also develop on the chest region. Swelling is often treated with poultices, hot packs or flushing with water. Small sores may be pierced with a needle and rinsed with iodine. Larger sores may require surgery. Medications to support healing and reduce pain may also be prescribed. Potomac horse fever is a condition that produces fever, mild colic and diarrhea. It affects horses of all ages and can also cause pregnant mares to lose their foals. The bacterium that causes this condition has been found in parasites (flukes) that live in certain insects and freshwater snails. Horses may become infected when they accidentally eat aquatic insects that contain the infected flukes. Treatment includes antibiotics and sometimes drugs to reduce inflammation (non-steroidal). Salmonella are a group of bacteria that can cause diarrhea in horses. Younger horses are more at risk of developing infections. More severe cases of salmonella infection can lead to inflammation of the intestines or even death. Horses are most often infected through the mouth, such as by ingesting contaminated feed or water or coming into contact with the feces of an infected animal. Treatment involves antibiotics and sometimes the use of intravenous (IV) fluids and electrolytes. Strangles, also known as distemper, is an infectious and contagious disease. The main symptoms include fever, abscesses in the upper respiratory tract, discharge of mucus or pus from the nose and swollen lymph nodes. Horses may also have difficulty swallowing and exhibit noisy breathing. Antibiotics may be used to treat this condition; although there are pros and cons to this route. Warm compresses can be applied to the area of the swollen lymph nodes. Other drugs may be given to reduce the fever and pain. Tetanus is caused by a toxin produced by a bacterium. The toxin blocks certain nerve signals, which causes severe contraction of muscles and extreme responses to stimuli. Signs of tetanus may include stiffness of the muscles of the jaw, neck and hind limbs. The bacterium that causes tetanus lives in soil, so a horse can become infected through a deep puncture wound. A vaccine is available for tetanus, which should be given before infection. Once infected, a horse is treated with antibiotics and a drug which fights the toxin. If you notice changes in your horse’s health or habits, contact us right away. We will diagnose, treat and care for your horse.